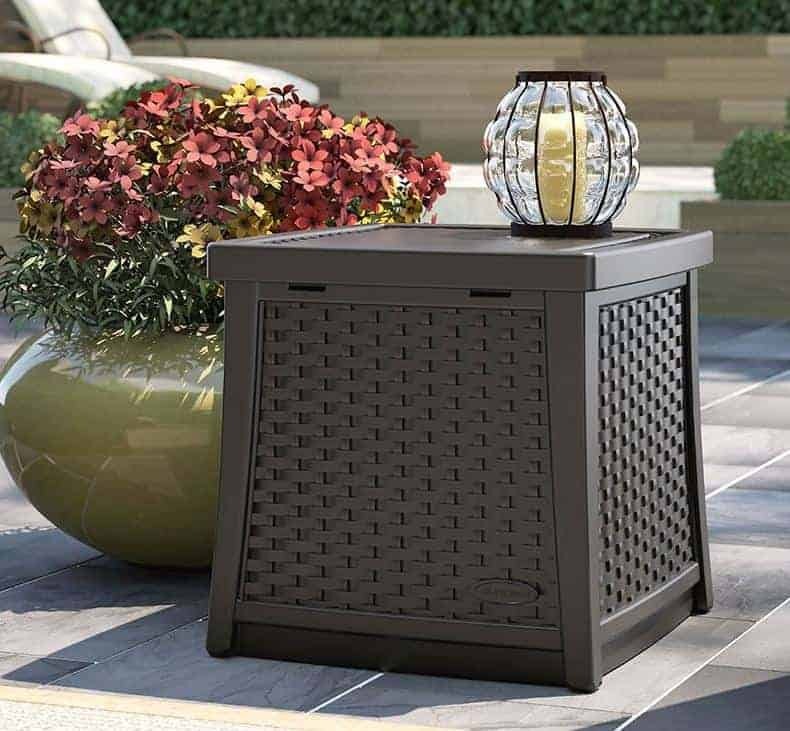 This deck box side table has a very attractive wicker design on it. 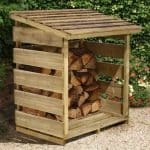 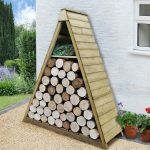 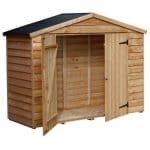 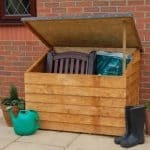 This means that you have a unit that would look great on any piece of decking, or any part of your garden for that matter. 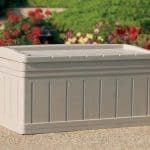 Other features include a strong resin construction. 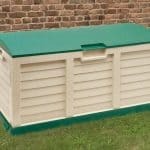 This gives you a table unit that will not allow rainwater into it, therefore prolonging the life of the unit for many years.